The TCORS Capitol Group, LLC. (TCG) is a full-service government relations and association management company that provides the highest quality of expertise and knowledge in the areas of lobbying and management. TCG is dedicated to providing clients with significant value and positive, clear results. For over 20 years, TCG’s professional staff has provided invaluable assistance to countless organizations. Visit www.ctcapitolgroup.com to learn more. In political and public affairs consulting our knowledge and experience helps clients establish a path through the CT General Assembly processes, in dealings with regulatory agencies and with Municipal and State executive offices. Expand your reach. Enhance your results. Rome Smith & Lutz is a full-service government relations and lobbying firm, providing representation at all levels of Connecticut government. With decades of public sector experience and deep relationships with key decision-makers on both sides of the aisle, the team at Rome Smith & Lutz delivers results for their clients. CT Community Nonprofit Alliance includes providers of day services and group homes for individuals with developmental disabilities, substance abuse and mental health treatment, education, anti-poverty and employment services as well as cultural programs. The Alliance advocates for proper funding and policies to best serve half a million people who utilize community services every year. Since 1946, The Association of Retired Teachers of Connecticut (ARTC) has been a retiree organization exclusively representing Connecticut’s retired teachers, and dedicated to securing and protecting our pension and health insurance benefits. Founded in 1983, Sullivan & LeShane Companies pioneered the integration of government relations, public affairs and public relations in Connecticut and has since established itself as the most recognized full-service firm of its kind in the state. NAVIGATING THE MEDIA LANDSCAPE – We’re sought after for our understanding of the interplay between the news media and the world of government affairs. Communication Strategies is a communications firm that partners with marketing, media, and government relations firms in the region to provide strategic planning and public relations and media production services to individuals, candidates, and organizations. With a strong background in politics and journalism, Communication Strategies specializes in campaign-style approach to both long- and short-term public relations planning and implementation. With political elections centering on partisan gridlock and discontent with the “old ways of doing business,” lobbying and policy advocacy are undergoing dramatic changes. In today’s environment of hyperscrutinized decisions and actions, the 24-hour news cycle, and ever-present social media, only the most politically savvy lobbyists are succeeding. Getting your voice heard above all the noise requires an experienced advocacy team that can expertly execute targeted government relations campaigns. Digital Campaign Solutions provides critical media strategy, digital video content and targeted online distribution for progressive causes and candidates. COST is a member-driven organization committed to giving Connecticut’s smaller communities a strong voice in the legislative process. COST champions the interests of member municipalities at the state Capitol and provides resources to help municipal leaders meet the challenges they face as chief executives of the state’s 139 smaller communities. CCM is the state’s largest, nonpartisan organization of municipal leaders, representing towns and cities of all sizes from all corners of the state, with 158 member municipalities. Companions & Homemakers provides in-home care for the elderly 3 hours per week, or 24 hours a day, seven days a week. Care includes comprehensive personal care and assistance. Specialized training allows caregivers to care for those with Alzheimer’s or other forms of dementia. Caregivers are matched to the needs and interests of the client. Free in-home consultation provided on request. 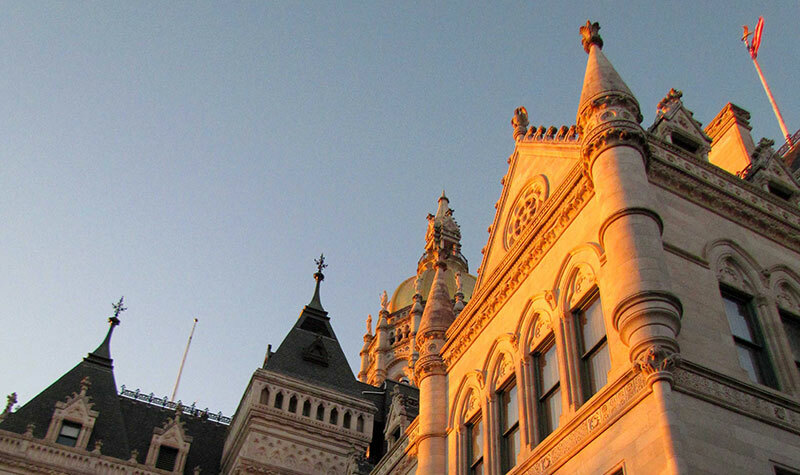 Situated in the heart of Connecticut’s Capitol, members of the Global Strategy Group (GSG) team in Hartford have strong connections to state government and have served as a trusted advisor to business, government, and advocacy groups across a number of industries and issue areas. From reputation management to public policy counsel, GSG has a deep understanding of the issues, the players, and the press in the State and the New England region as a whole.